Escondido Grapevine joins with leading online journalism producers in the nation. After undergoing a rigorous application and review process, The Grapevine became part of something larger today. 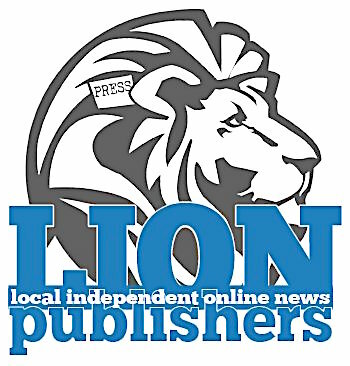 The prestigious 130-member LION, the Local Independent Online News Publishers organization, accepted The Grapevine into the fold as its newest member. Founded in 2011, LION Publishers is the leading national nonprofit educational group focused on local independent online news publishers, their editors, reporters and staffers. The Grapevine is the only San Diego County independent media outlet qualifying for group membership. “Congratulations and welcome to the only nationwide group representing the publishers and editors of local independent online news websites,” said Matt DeRienzo, Lion Publishers interim executive director and former group editor of Digital First Media in Connecticut. The Grapevine continues to work toward the future of independent online journalism like no other local site in San Diego County. A LION site is focused on covering the news of a defined geographical area for that community. “Local” covers the spectrum of community sizes: neighborhoods, hyperlocals, towns, metro areas, regions and states. While LION sites may report on national/international news—whether directly or by aggregation/curation—the focus must be on reporting local news. A LION site must report news in the general public interest while upholding high professional standards, including transparency, integrity, fairness, accuracy, completeness, and accountability. A LION site posts news on multiple days of the week, with a primary editorial focus (as evidenced through staffing and publication) on local breaking, investigative and public service reporting, data and information, and covering arts, cultural and community events. News coverage must conform to standard, accepted journalistic practices with a preponderance of original reporting. Be the first to comment on "Escondido Grapevine roars like a LION"